By Richard Phinney and Scott Whitley. Published 2007 by Arum Press. 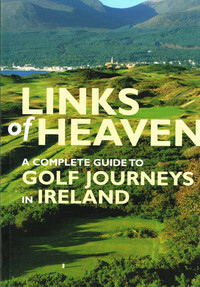 Originally published in 1996 and now fully updated and expanded, "Links of Heaven" is part a practical guide to Ireland's finest courses and a part travel book. Along with hard, practical information, it also offers a warm and affectionate portrait of the country's golfing community and its history.